Fidyah (Arabic: فدية; meaning “expiation”) is a means of compensation for a missed action or a violation of a Hajj-related law. It shouldn’t be regarded as a punishment, but a means of rectifying and renewing your commitment to the pilgrimage and the Sunnah of Rasulullah ﷺ. 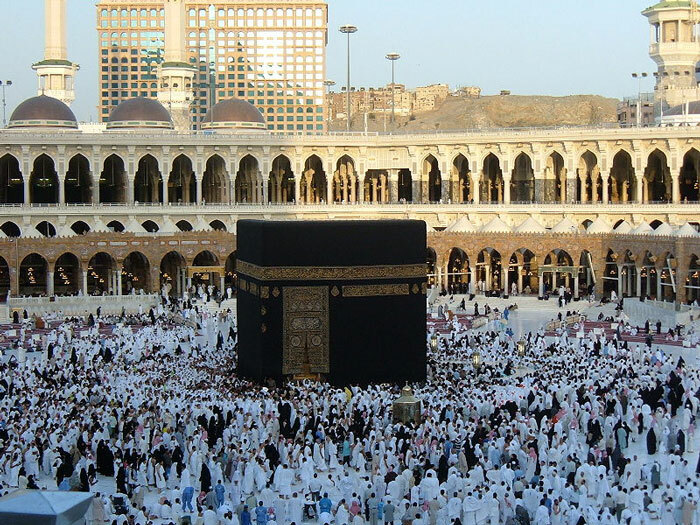 Failed to perform a Wajib act of Hajj, such as failing to enter into Ihram from the Miqat. Badanah – Offering a large sacrificial animal such as a camel or cow (the size of which normally constitutes seven parts). Damm – Offering a small sacrificial animal such as a sheep or a goat (or the cost of one-seventh of a large animal if sharing). Sadaqah – Offering charity to the poor and needy. Coupons can be purchased from kiosks in Makkah and Mina or from al-Rajhi Bank located in Makkah Hilton Towers. It doesn’t necessarily have to be carried out in the days of Tashreeq (between the 10th and 12th of Dhul Hijjah) if you’re performing Hajj. Tawaf al-Nafl (Arabic: طواف النفل) is a voluntary Tawaf that may be performed anytime and as often as desired.